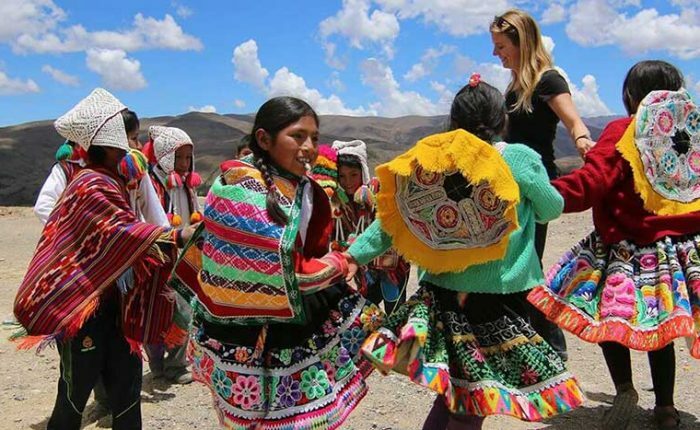 Discover charming Cusco and the gorgeous Sacred Valley of the Incas on exclusive, off the beaten path tours. Climb impressive canopy towers for spectacular views of the Peruvian Amazon’s forests and wildlife. 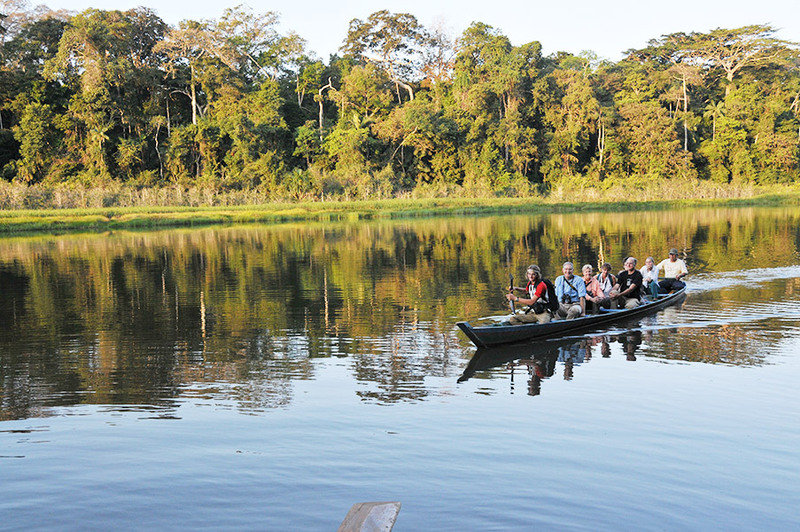 Our Machu Picchu and Amazon Lodge program combines the famous sights, as well as exciting, non-traditional tours and activities in the Cusco area with a multi-day Amazon Lodge stay in the remarkable Tambopata Reserve. 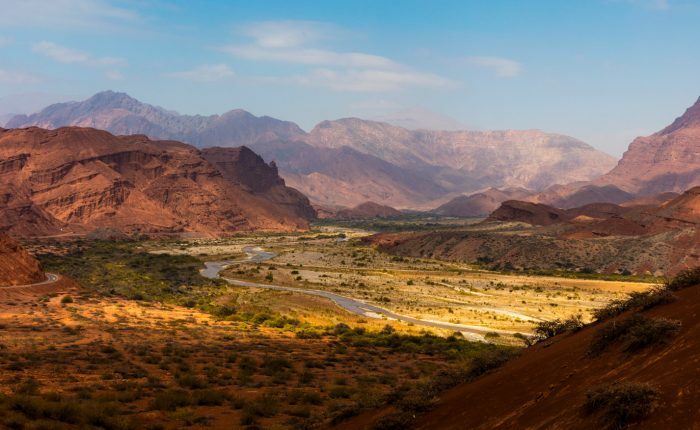 Peru is among the most biodiverse and culturally varied countries on the planet, and Ayni Peru plans each phase of this tour to give you unique and unforgettable experiences. Arrive in Cusco, the heart of the ancient Inca Empire! You will take a guided tour of the city, and visit Cusco’s many unique sites, including the Plaza de Armas, Qorikancha, the San Pedro Market, and the San Blas neighborhood. Don’t miss the chance to try some typical Cusquenan dishes, like choclo con queso (giant Inca corn with cheese), or causa (a cold casserole-type dish often made from potatoes, avocado, or hard-boiled egg). Today you will depart by private transport for a tour of the beautiful Sacred Valley, starting with the Inca fortress Saqsayhuaman. From here, you will travel to Pisac, where you will have time to explore the impressive Pisac ruins before descending into the town to visit the huge local market. You will then travel to the charming town of Ollantaytambo, where you can explore the cobblestone streets and visit the massive ruins before catching the train to Aguas Calientes. 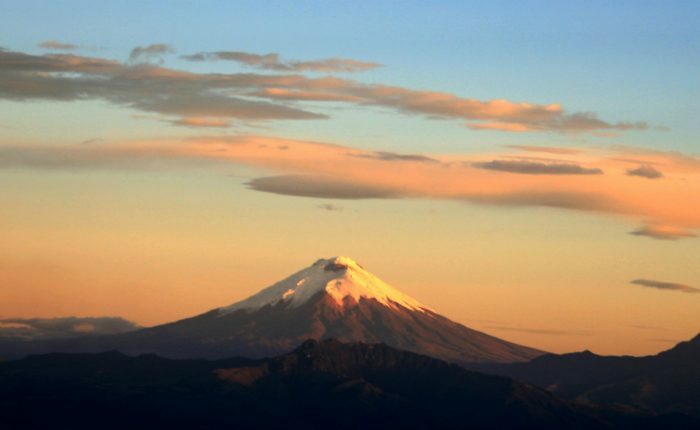 Wake up bright and early to catch the bus to this Wonder of the World! As you enter through the gates, you will catch your first glimpse of the incredible ruins and the surrounding mountains. You will have a 2.5-3 hour guided tour, then will have time to explore the ruins on your own. If you’re feeling adventurous, you can climb one of the neighboring mountains (must arrange beforehand) for an amazing birds eye view of the ruins. After a full day of exploring, you will take the bus back to Aguas Calientes, where you will take the train to Ollantaytambo. Transport will be waiting for you in Ollantaytambo to take you back to your hotel in Cusco. Today you will transfer to the Cusco Airport for your flight to Puerto Maldonado. 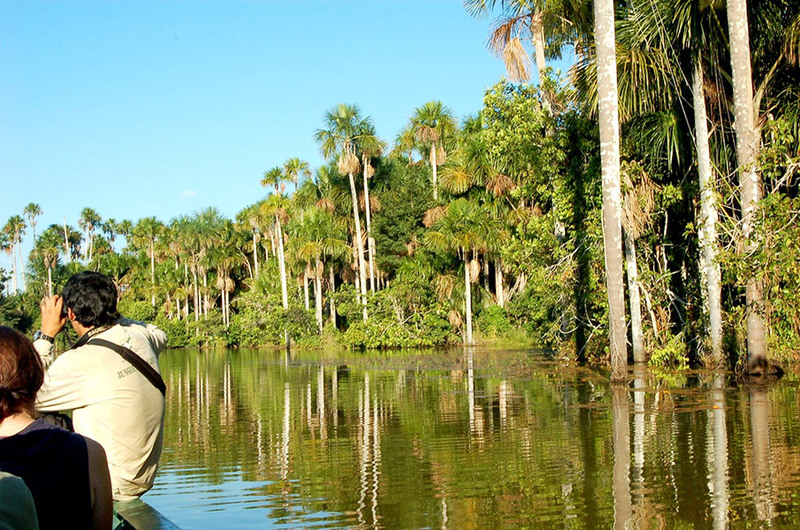 Upon arrival, a lodge representative will welcome you at the airport, and you will then drive to the Tambopata River Port, entering the Native Community of Infierno, where you’ll board our motorized canoe. 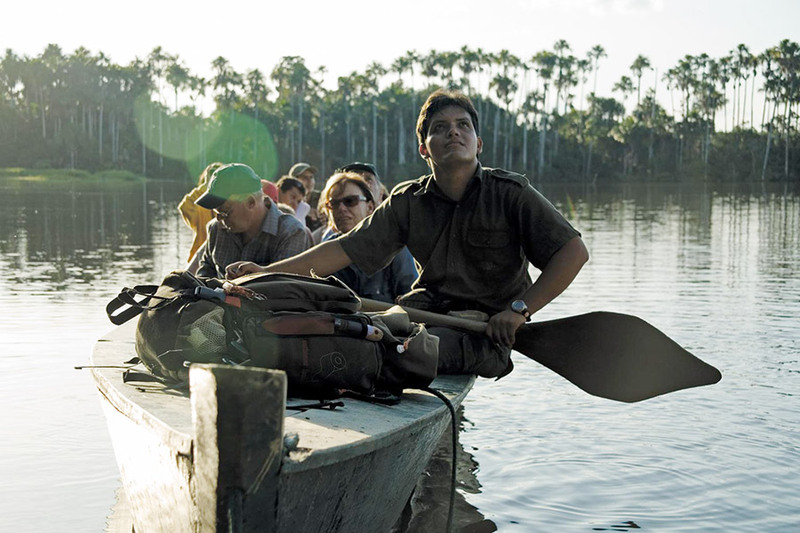 This will take you deep into the Tambopata Reserve to your lodge. 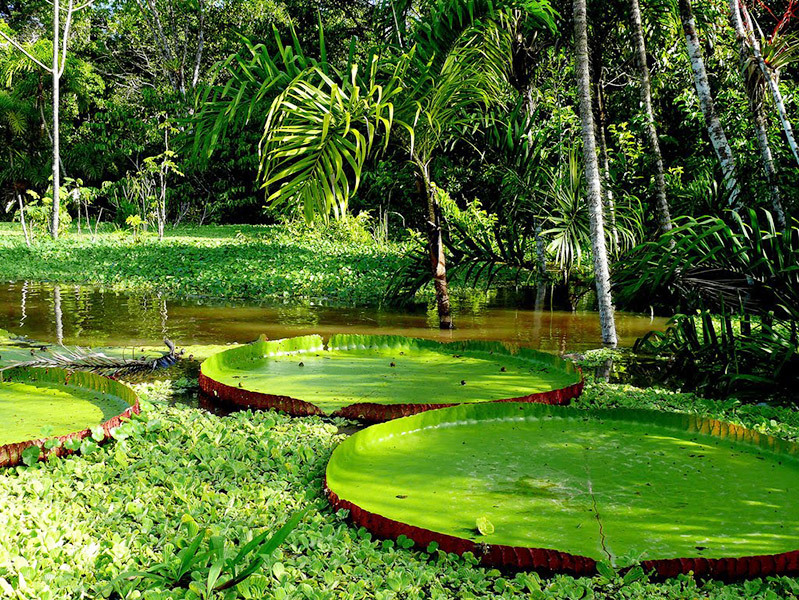 After settling in, you will go on an evening hike to look for caiman and other creatures. You will wake up in your beautiful Amazon lodge ready for a full day of activities. 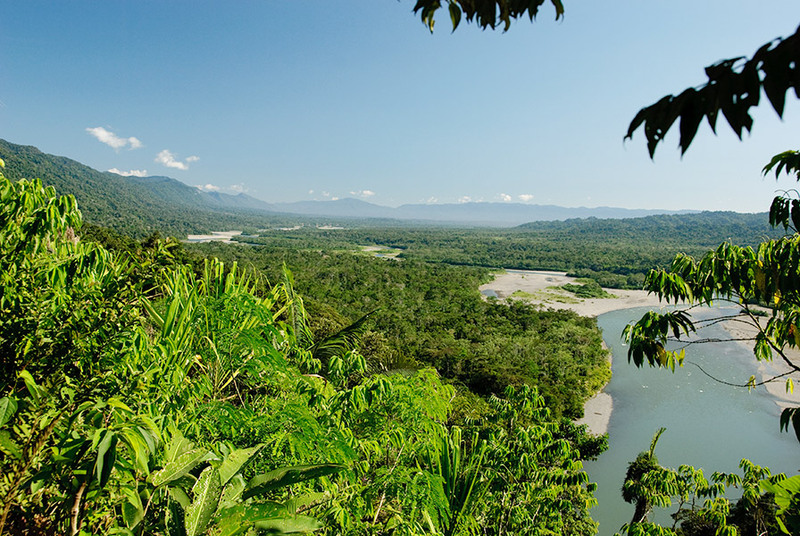 You will first visit the beautiful Oxbow Lake, then take a short walk to the canopy tower, which you can climb for impressive views of the surrounding jungle. 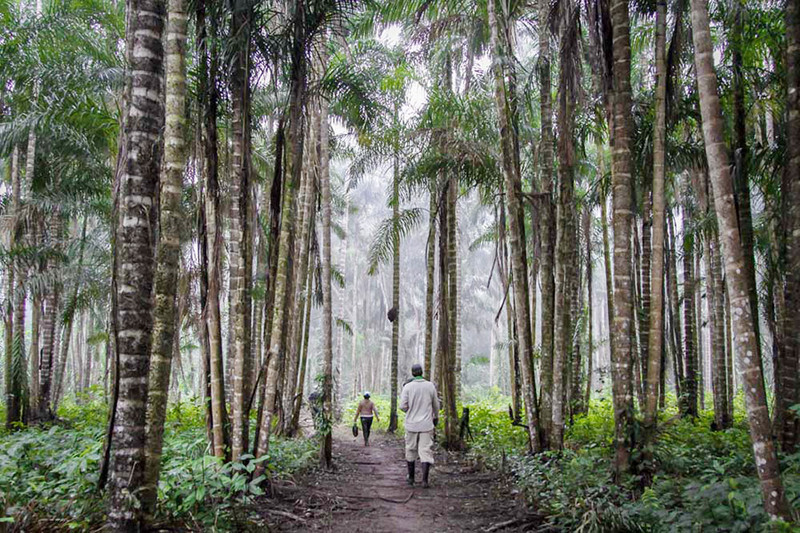 You will end the day with an ethnobotanical tour, where you will learn about the huge variety of Amazon plants and how the local people use them medicinally. 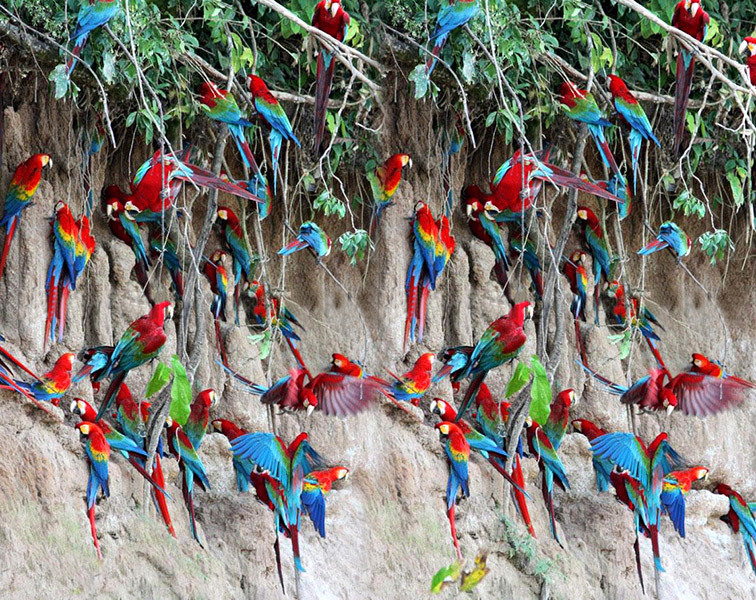 Today you will visit the macaw clay lick, where you will see parrots, parakeets, and macaws descend on a clay bank, where they ingest nutrients from the clay. 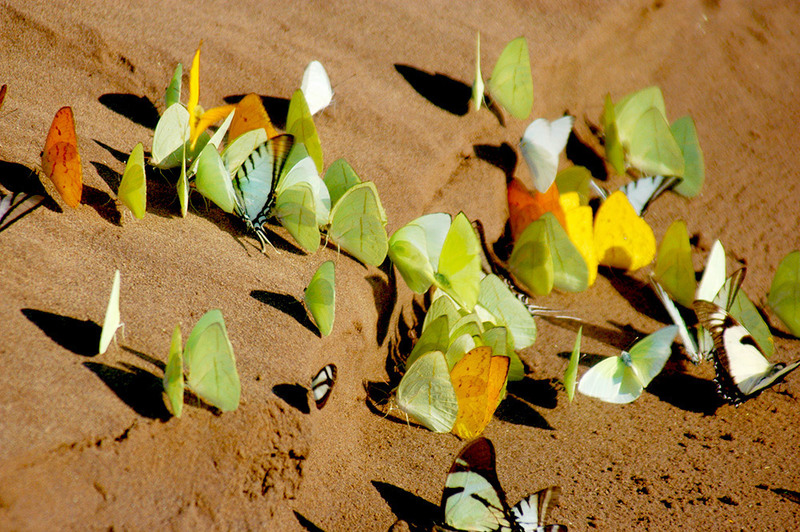 You can also visit a mammal clay lick, where wild rain forest pigs, along with deer, guan, and parakeets, emerge from the jungle to consume the clay. You will also have the option of a night walk, where you will be able to hear the jungle come to life after dark. After breakfast, you will say goodbye to your lodge and the Tambopata Reserve as you travel back to the Puerto Maldonado Airport. Here you will catch your flight home- or on to your next location! Domestic flights. Ayni is able to include airfare at additional cost; please contact us for a quote! 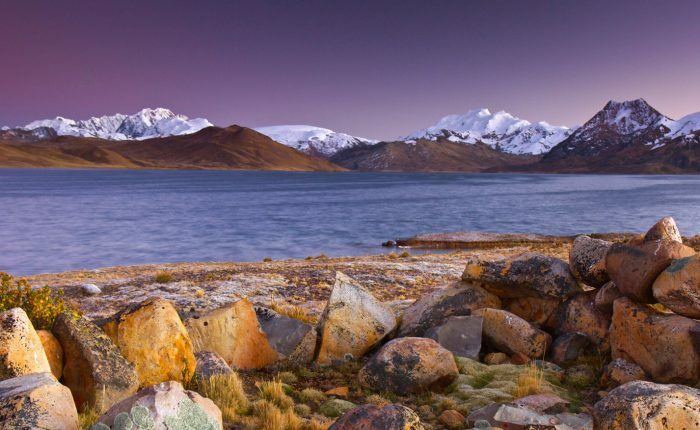 Peru is one of the most geographically diverse and culturally varied countries on the planet, and is home to 11 different ecological regions and 28 different climate zones. 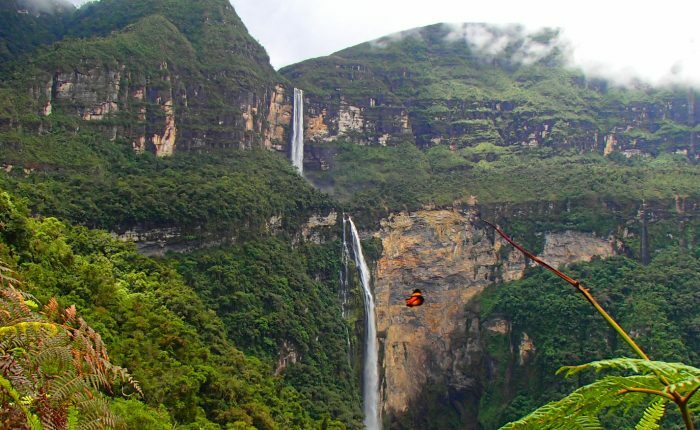 On Ayni Peru’s 7 day/6 night Machu Picchu and Amazon Jungle Tour, you will travel through several of these zones as you move from the mountainous high Andes to the lush and humid Amazon jungle, experiencing Peru in all its diversity. 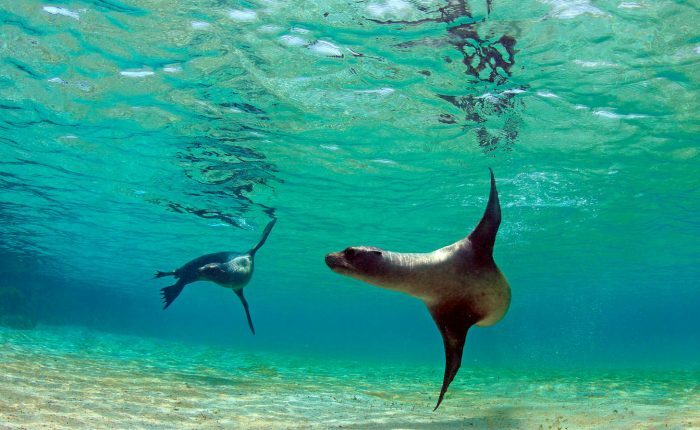 Your adventure will begin in Cusco, the heart of the ancient Inca Empire. At an altitude of 11,152 feet, Cusco sits high in the Andes Mountains. This charming cobblestone city exemplifies a collision of old and new worlds, and around every corner you will see both Spanish and Inca influences. 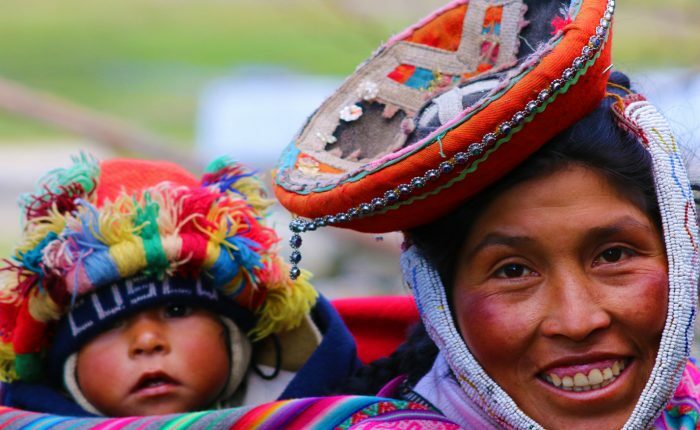 In Cusco, you will embark on a guided city tour, and will visit the Plaza de Armas, Qorikancha (the Santo Domingo Convent, which was built atop an Inca temple), the San Pedro Market, the historic San Blas neighborhood, and more. Don’t forget to try some fresh fruit in the market or some tasty street food, like anticuchos (meat kebabs made from chicken, sausage, or- if you’re feeling especially adventurous- cow heart) or picarones (deep fried sweet potato donuts served with maple syrup). The next day, you will travel to the incredibly beautiful Sacred Valley of the Incas, just outside of Cusco. Along the way, you will stop to visit Saqsayhuaman, the sprawling ruins of an Inca fortress constructed with huge, skillfully carved stones. This fortress served a crucial military function for the Incas and its durable, complex construction allowed the Incas to maintain control over the city, even through sieges. 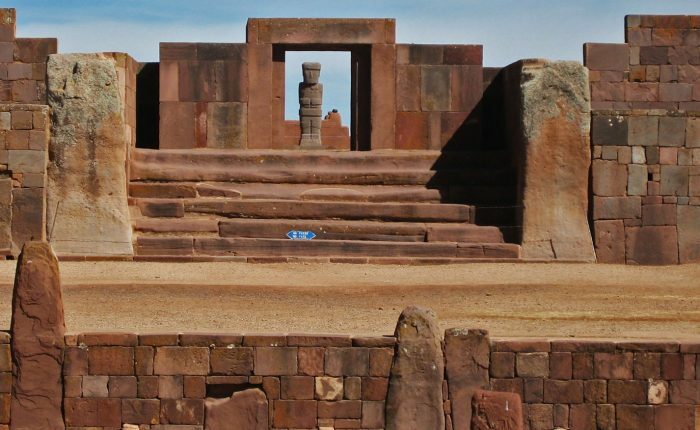 From these ruins, you will have an impressive view of the whole city of Cusco, and the bright blue sky contrasted against the uniform brown roofs of the city will be an unforgettable sight. From Saqsayhuaman, you will continue on to the Sacred Valley of the Incas, first stopping to visit the Pisac ruins. Be prepared for more incredible views of the valley and the Inca agricultural terraces built into the steep hillside and used for farming. The Pisac ruins contain many military, religious, and agricultural structures, and it is believed that this site served many purposes, including defending the southern entrance to the Sacred Valley and connecting the Inca Empire to the nearby jungle. After exploring the ruins, you will descend into the town of Pisac to visit the vast and vibrant Pisac market, where you can browse the seemingly endless stalls of antiques and handicrafts made by local artisans, buying some souvenirs to take home with you. You will then travel by train from the Sacred Valley town of Ollantaytambo to Aguas Calientes, the town at the base of Machu Picchu. You’ll spend the night in Aguas Calientes, resting up for a big day at Machu Picchu the following day. The next day, you will wake up with the sun to catch the bus, which will wind its way up the steep switchbacks to the entrance of Machu Picchu. As you ascend the stone steps, you will catch your first glimpse of “The City in the Sky” as the early morning fog lifts and the clouds part, revealing the majestic ruins below. Your private guide will lead you around the ruins as you visit the Temple of the Three Windows, the Main Temple, the Intihuatana stone, and much more, learning about their significance all along the way. If you want an extra adventure, you can climb either Huayna Picchu Mountain or Machu Picchu Mountain for incredible views of the ruins, surrounding mountains, and the Urubamba River rushing below from high above the clouds. After a day of exploring and taking in all that Machu Picchu has to offer (including wandering alongside wild grazing llamas and observing other local wildlife), you will say goodbye to Machu Picchu and return by bus to Aguas Calientes. After returning back to Cusco, you will depart for your Amazon adventure! 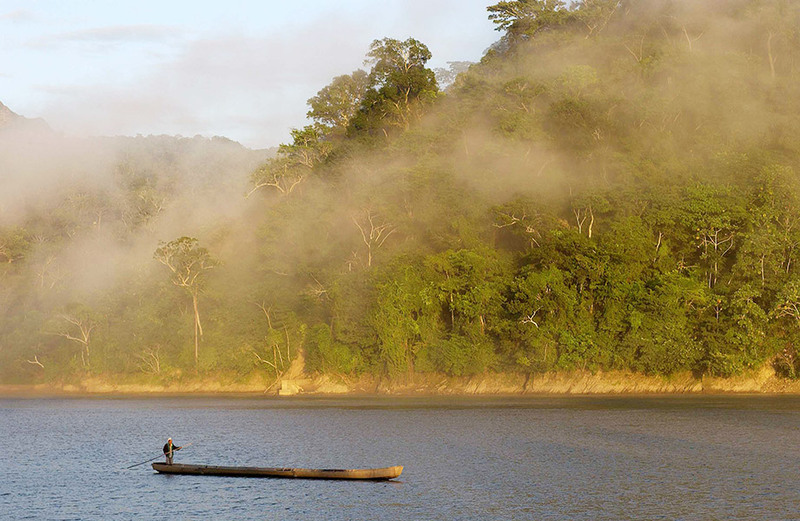 You will travel by boat up the incredible Amazon River to the Tambopata Reserve. 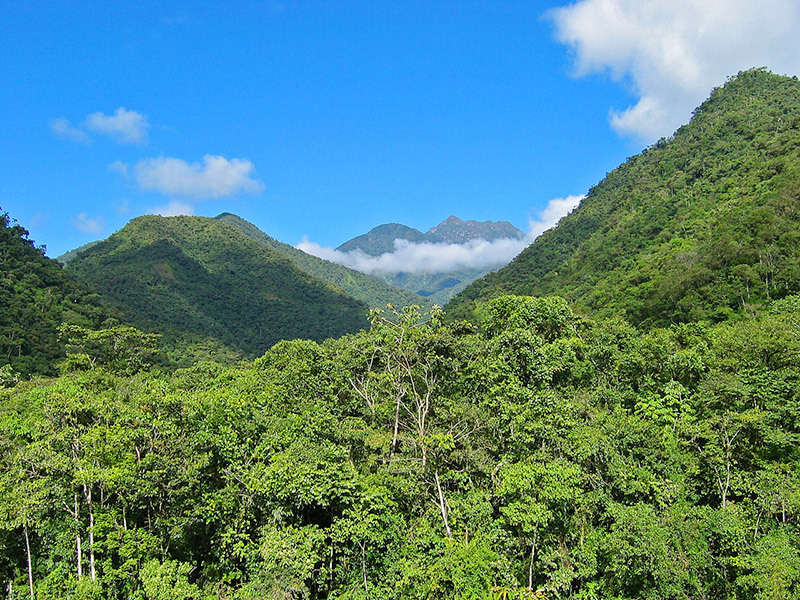 The Amazon Rainforest, including this 1,060 square mile reserve, covers 59% of Peru. The Tambopata Reserve is also home to over 1,700 species of plants, 103 species of mammals, and 90 species of amphibians. 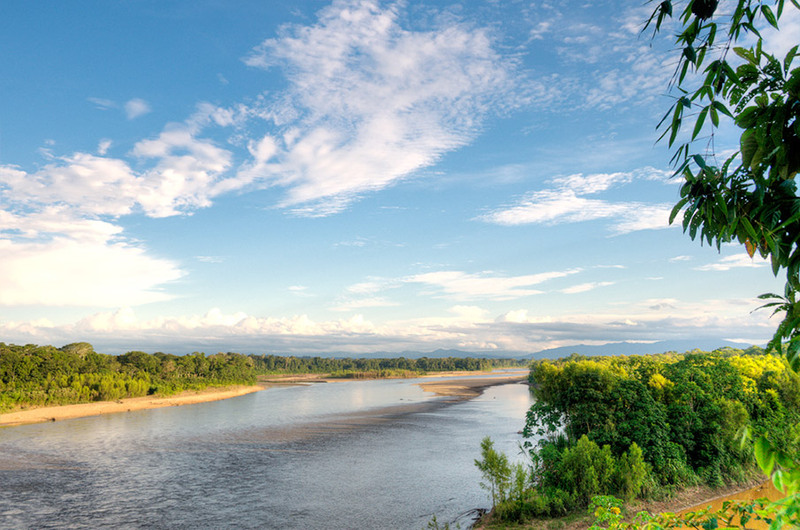 You will spend four action-packed days in the lush jungle in a comfortable lodge, as you enjoy the surrounding nature on wildlife walks, canopy tours, and more. 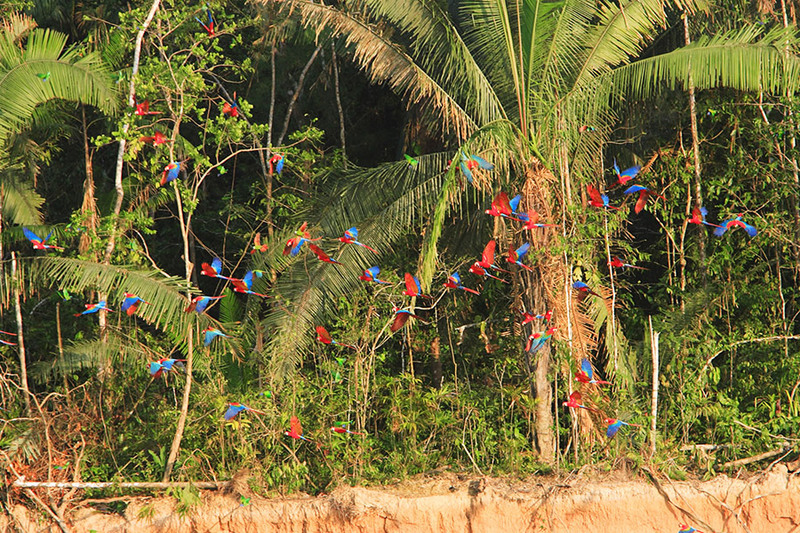 You will also visit a remote macaw clay lick, where macaws gather to take in essential minerals, as well as canoe across beautiful Oxbow Lake, and visit a local brazil nut farm. Here, your tour will come to an end as you transfer to the Puerto Maldonado airport to catch your flight home.